Famous For: Birds, Flora, Nature, Exploring, Tourism and Photography. Entrance Fee: No entry fee is charged to tourists or visitors. The sanctuary is the best place to spend an entire day. Visiting Time: All days of the week before the sun sets. Visit Duration: The best way to explore the Kilbury Bird Sanctuary is to visit in the early hours of the day and get going as the sun sets. The area is large and can take up an entire day to go around. In the serene village of Pangot and Sigri, nature has bestowed its choicest blessings. The Kilbury Bird Sanctuary in Nainital is one of the most renowned places for tourists to visit. Apart from being the house of a variety of species of birds, it is also the perfect spot to spend a day. The lush greenery and picturesque views make it worth your while. So, if you are on the way to Nainital, make sure to give your family or friends a great time by taking them to this sanctuary. If you are visiting the place during summers, it is best to carry a light sweater or a shawl. It might get a little chilly during the latter part of the day. Try not to visit during the monsoon season. The weather can get rough and chances are that you will miss out on all the fun. It is needless to say that carrying your camera is an absolute must. The myriad species of birds in the sanctuary will leave you amazed. Carry a pair of binoculars and a hat too. This way watching the birds will turn out to be even better. If your trip is planned during the winter months, carrying warm woollen jacket with boots is very necessary. Try not to jam your day by visiting the sanctuary along with other places. Devoting an entire day to look around is probably the best way to make the most of your trip. Bird watching is undoubtedly the best activity in the Kilbury Bird Sanctuary. You can find both resident and migratory birds in here. Trekking can be a great option for adventure lovers. It is safe and a very rewarding experience. Trying out the local cuisine in street shops or restaurants is a must. Foodies in the group will love it. If you plan to go trekking, there are guides who will help you figure your way out. Hiring one might a safer option as they know the place better. That way the chances of risks are reduced considerably. The summer season in Nainital is heavenly and nothing can be compared to the beauty of this place. If you are planning to visit with your family, try going during the months of April to June. Avoiding the monsoons is probably the best idea. For a more romantic or honeymoon trip with your beloved, winter is perfect. The atmosphere screams love and there is snow all around. Kathgodam is the nearest railway station at a distance of about 20 kilometres. Both bus and taxi services are abundant and are also available at reasonable rates. If you are landing in the Pant Nagar airport, you can take a cab and it will take about 2.5-3.5 hours to reach the sanctuary. 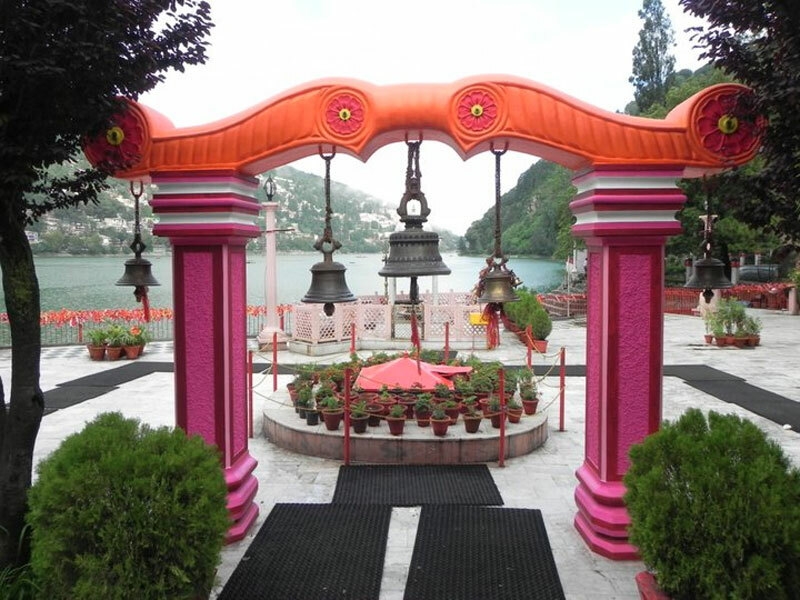 It is also pretty close to the main city of Nainital and you can avail either public transport or book a private ride. The number of species of birds in the Kilbury Bird Sanctuary will leave you astonished. There are around 580 species of birds in this place is a complete heaven for nature lovers. Yu can spot oak, pine and rhododendron trees too. The scenic beauty of this place is beyond comparison. The fauna of the area includes wild boars, leopard cats, red fox, barking deer and lots more. Many travellers opt to stay a day to enjoy the wildlife of this place. Since it is perched on an altitude of 2528 metres, the weather and surrounding view is breath taking.